The cover of Queen’s Shadow by EK Johnston. The Star Wars printed universe marches on, with comics and books covering the whole timeline, including the franchise’s first major return to the prequel era since Disney restarted the canon back in 2014. Then, for the prequel era, we’ve got Queen’s Shadow, a book from Ahsoka author E.K. 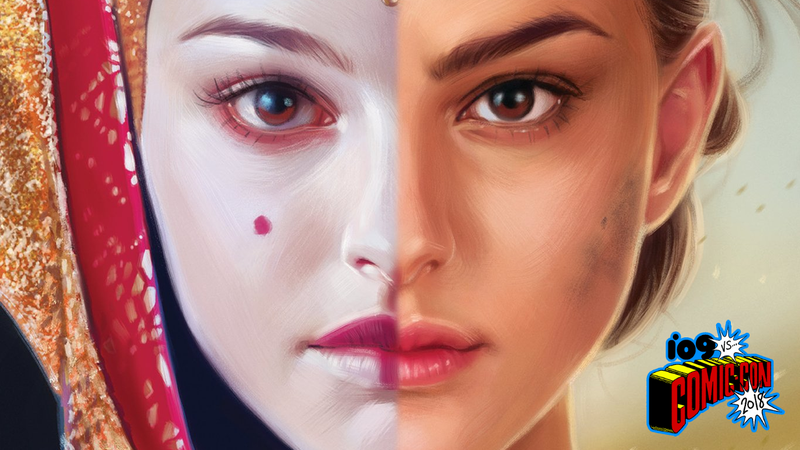 Johnston about Padme Amidala as she transitions from Queen to Senator in between the events of The Phantom Menace and Attack of the Clones. There’s also Master and Apprentice, a Claudia Gray-penned novel about Obi-Wan Kenobi and Qui-Gon Jinn, presumably set before The Phantom Menace. The cover of Queen’s Shadow by EK Johnston, via her Twitter. There will also be two Solo adpatations coming: a novel by Mur Lafferty and a comic by Robbie Thompson (artist not announced). On the comics side, there’s Tales From Vader’s Castle, an IDW anthology written by Cavan Scott and a variety of artists (and one of the shown covers indicates that Kanan Jarrus from Rebels features in one of those tales). Charles Soule’s Darth Vader comic series for Marvel is also going to Vader’s Castle for an upcoming arc called “Fortress Vader,” set to last seven issues. Finally, comics writer Jody Houser is also putting out an eight-issue series called Age of Republic, an anthology featuring various heroes of villains from the Prequel era, which will be followed by Age of Rebellion by Grek Pak and Age of Resistance by Tom Taylor. That’s quite a bit; seems like Star Wars’ publishing schedule is about to get very busy indeed.